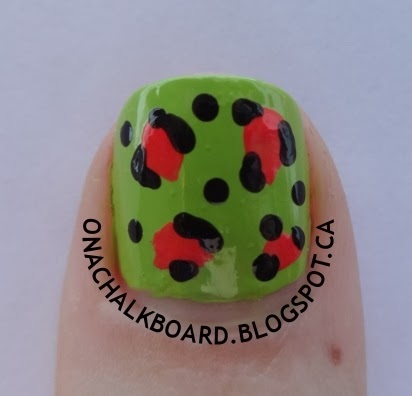 Here is a step-by-step tutorial, to make neon leopard print nail art. It’s great for beginners, and with a little practice, you’ll be doing them like a pro. 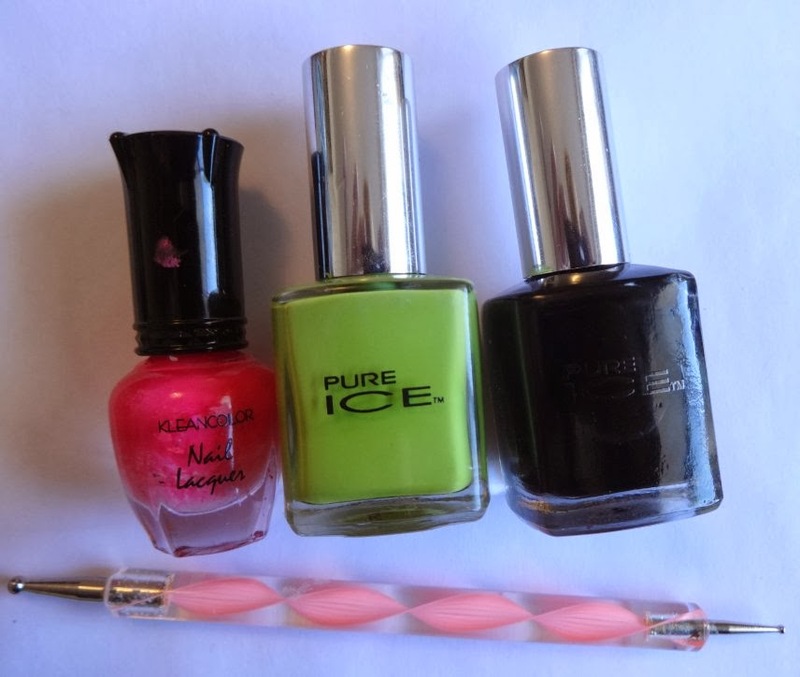 1) What you will need: A dotting tool, and neon green (I used “Wild Thing” by Pure Ice), a neon pink (I used “neon Pink” by Kleancolor), and a black (I used “Black Out” by Pure Ice). 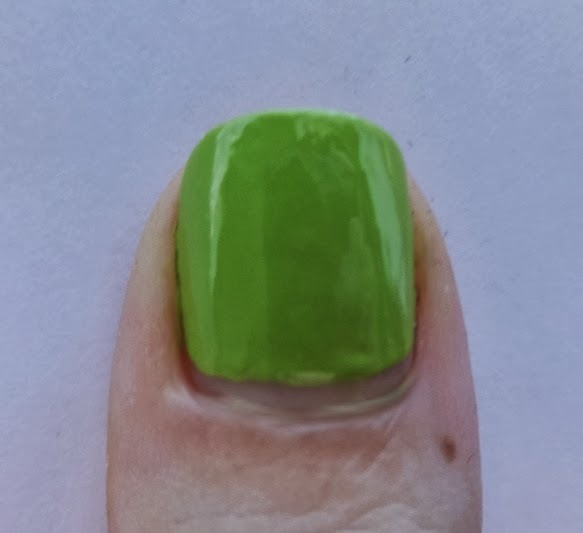 2) Paint a solid green base. 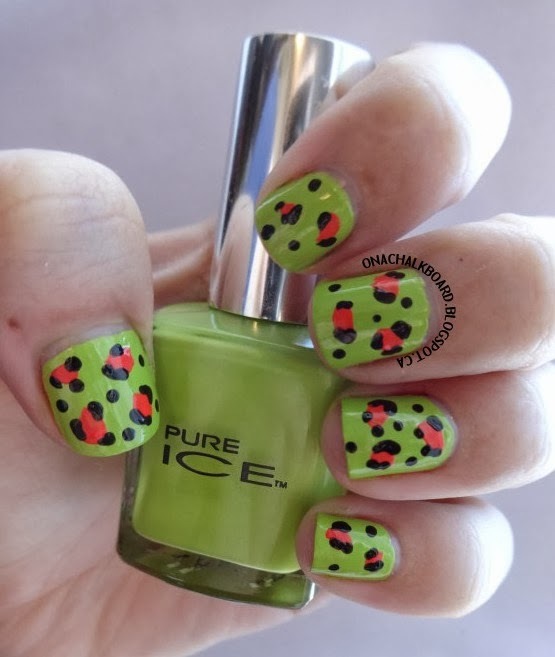 3) Using a dotting tool and your neon pink polish, or the nail polish brush itself, create 2-4 well-spaced out “blobs”. 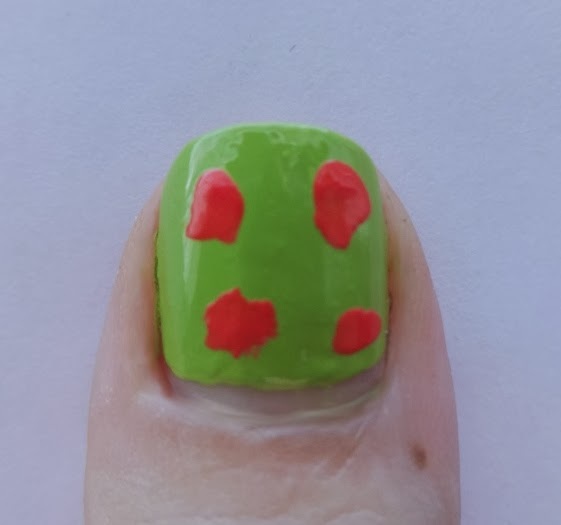 4) Using the small end of your dotting tool and a black polish, draw 2-3 dots, bracket shapes, or “C” shapes on the perimeter of each pink blob. Do this with a light hand, and a small amount of black polish. 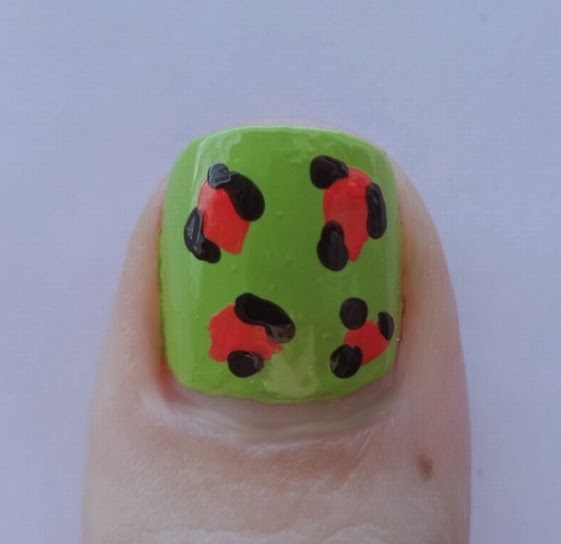 5) Using the small end of the dotting tool and the black polish, add small and large dots in any empty green space. I’ve got some hauls and an indie review coming up next week, so stay tuned. And as always, don’t forget to ‘treat yo’ self’ to a mani!